Thought your gummy worms and chocolate ice cream was the craziest dessert you’ve ever witnessed? Think again. Below, we have outlined some of the most bizarre ice cream combinations we’ve come across. At first, they might sound repulsing, but they are strangely delicious. Yes, you read that right. Are you asking, “How can you fry something that is ice cold?” You can! This traditional Mexican desert is the perfect way to end your meal on an exciting note. Fried ice cream is traditionally made by covering balls of ice cream in a crumb mixture and quickly deep frying it in a pot of boiling oil. Step 2: While your ice cream is freezing, combine a mixture of cornflake crumbs and cinnamon into a bowl. Avocados and ice cream? Yup, you read that right! With the major health kick in today’s food world, more and more healthy alternatives to ice cream are emerging. 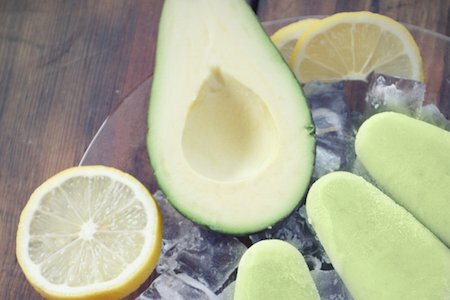 One of the most shocking ones that we have come across is using avocado to make your favorite frozen treat. Using avocados in your ice cream creation results in a creamy texture that closely mimics that of regular ice cream. To try out this nontraditional ice cream creation on your own, try blending lemon juice, avocado, coconut milk, yogurt, and maple syrup. The result will be a sweet, creamy creation that the whole family can enjoy. Are you a fan of heat in your foods? If so, you’ll love Sriracha and chocolate ice cream. Because chocolate is so rich, it pairs perfectly with a hint of spice. Why not cool down the spice by adding it to a scoop of chocolate ice cream? This spicy, yet cool treat is the perfect way to beat the heat in the summer time, while still enjoying your favorite flavors. You can use it as a topping and drizzle it on top or blend it together in your favorite chocolate ice cream recipe—the possibilities are endless. Bacon is found in just about everything these days, so why not add it to ice cream? Although this might sound absolutely absurd, when combined with the right ingredients, it can make for a delicious treat. One of the best combinations for this creation is to add maple syrup and brittle bacon to vanilla bean ice cream. The combination of the rich vanilla taste with the sweet maple syrup and salty bacon makes for a unique taste. Mixing the maple syrup in with your ice cream and adding brittle chunks of bacon on top can make for a delicious treat that will turn just about anyone into a bacon-lover.